"Restored: The World's First Hydroelectric House"
William Armstrong had his most brilliant ideas while standing thigh-deep in water. The maverick Victorian inventor, who created the mechanisms that raise Tower Bridge in London and open Newcastle's Swing Bridge, was also a passionate fisherman and came up with the idea of hydraulic power at the age of 24 while trout fishing in the Dee in Dentdale. This weekend, the largest monument to Armstrong's ingenuity is open to the public again after total refurbishment. 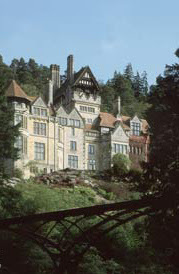 Cragside, in Northumberland, was home to Armstrong for 30 years and was the first house in the world to be fitted with hydroelectricity. The incredible gadgets, from the rotating spit in the kitchen to the hydraulic lift, were all powered by a vast water pressure system housed in the basement. Dubbed the "palace of a modern magician" by one contemporary visitor, it boasted an early dishwasher, a Turkish bath, and hot and cold running water. In completely refitting and rewiring the house for the first time, The National Trust had to commission 500 carbon-filament lamps. In later life Armstrong described his moment of illumination that day in the river: "I was lounging idly about, watching an old water-mill, when it occurred to me what a small part of the power of the water was used in driving the wheel, and then I thought how great would be the force of even a small quantity of water if its energy were only concentrated in one column." Armstrong became one of the richest men in Europe by inventing and manufacturing the Armstrong gun, a cannon. The son of a corn merchant from Newcastle upon Tyne, he founded one of the world's leading engineering firms, WG Armstrong, which sold hydraulic cranes around the world. He employed more than 20,000 men at his works on the Tyne. In 1869 he expanded the house he had built six years earlier on a country estate in Rothbury. The architect Richard Norman Shaw built Cragside by transforming a modest sporting lodge and Armstrong installed a hydroelectric generator in 1878, having dammed a nearby river to create a lake. He wanted to create a cutting-edge home to show important guests, including the King of Siam, the Shah of Persia, an Afghan prince, and the future King Edward VII and his wife Alexandra. Armstrong eventually presented the patents for his guns to the British government and was knighted in gratitude in 1859. 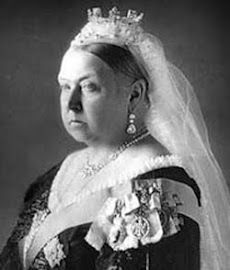 Then, in 1887, Queen Victoria's jubilee year, he became the first engineer to be raised to the peerage, as Baron Armstrong of Cragside. The founder of Newcastle University, he died at Cragside at the age of 90 in 1900. I am delighted to read the short comment about Sir Micheal Costa - our first really credible orchestra conductor.I have two R Parkes Bonington oil paintings owned by him during the mid 1800s and found by me in Buenos Aires in 1971.